Rent villas in Lisciano Niccone, Italy with swimming pools. This 2 bedroom apartment with swimming pool is located in Lisciano Niccone and sleeps 7 people. It has WiFi. 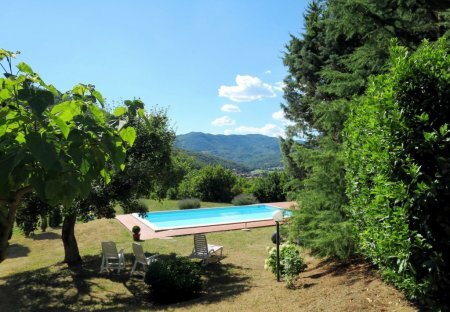 This 1 bedroom apartment with swimming pool is located in Lisciano Niccone and sleeps 4 people. It has WiFi. This 2 bedroom apartment with swimming pool is located in Lisciano Niccone and sleeps 6 people. It has WiFi. Pretty chalet annex of a villa. Enclosed grounds with lawn and equipped area reserved for the guests.